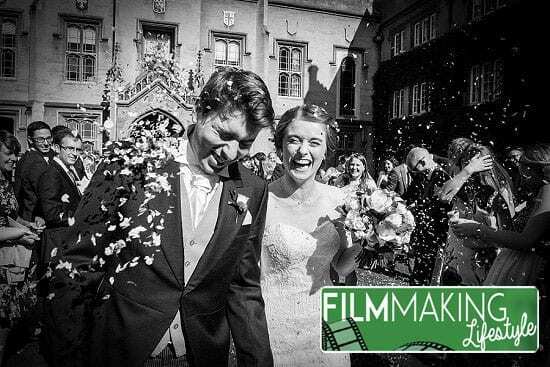 I’ve written a fair bit here about wedding videography and making wedding videos. 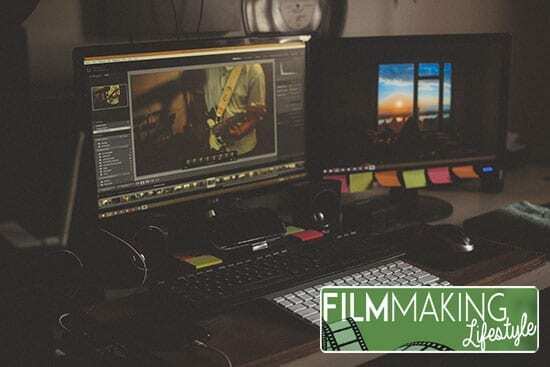 It is a great industry to get into and can earn you big money, whether that be as a main bread-winner for your video business, or as a side income part time. The truth is, wedding videographers see some crazy stuff. Just ask anyone who’s been in the wedding industry long enough! 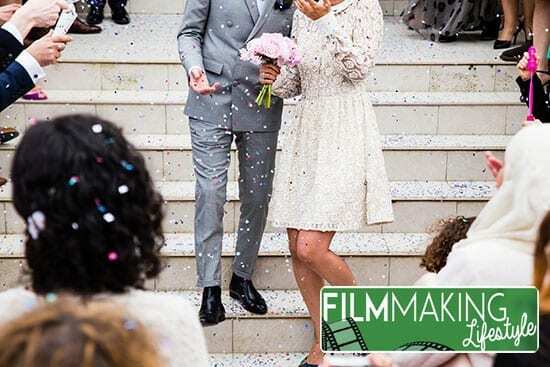 This is 11 Things That Will Happen When You Shoot Wedding Videos. Pros will recognize most of these straight away. So consider this something of a ‘you’ll see these things if you’ve been in the industry long enough’ kind of piece. This is a super common one that I’m sure all experienced wedding videographer will relate to right away. If you hear those words, run for the hills. Or don’t, because, well — you have a wedding to film, after all. But when you hear those words, know that you may be in for a long day. Because Uncle Jack, complete with his mid 1990s camcorder is going to passionately and haphazardly insert himself into every situation throughout the day. And, thus, into every one of your shots. If you let him. Yes, if you’ve shot weddings for long enough, you will have dealt with an Uncle Jack. Or two. The craziest one I have ever seen is an Uncle Jack who was actually the bride’s father. And, no, this isn’t some kind of interbreeding thing! It seemed like this guy made it his mission to try to outdo us on the day and make a better film. Despite the fact that he was, you know, the bride’s father and everything. You’d think he’d have better things to be doing like walking his duaghter down the aisle! But after a long and annoying history of his ‘time in the game’ said loudly to anyone and everyone during the bridal prep (it amounted to a couple of years in an AV club in the 1970s, or something) he then thrust himself and his camera into every scenario throughout the day. Most notably the walking down the aisle with his daughter bit! Yes, he was there with his mid-90s camcorder trying to get the best shot of his daughter walking down the aisle! I kid you not! And when he said he wanted the groomsmen together because he wanted to “Reservoir Dogs this thing,” well…I made myself scarce. Tips to avoid Uncle Jacks? Be polite but firm. You’ll find that’s a running theme throughout this post. But, yeah, do what you can to politely tell them that you’re the official videographer here and that the bride and groom have spent a lot of money having the film made. 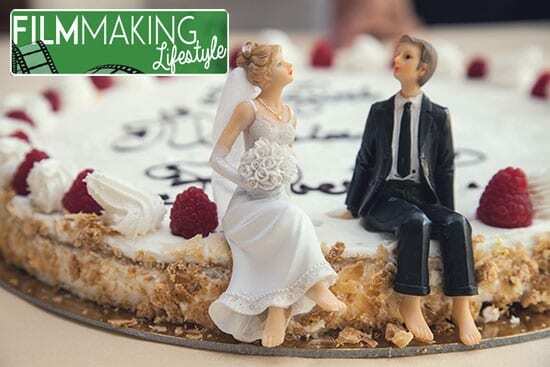 Still, be careful not to offend, as this is a wedding and the kind of stuff you can get away with on a corporate shoot is out of place at a wedding. Yes, welcome to the world of weddings and bridesmaid-zillas. Okay, that’s a (largely) exaggerated version. Most people you’ll meet at weddings are awesome. Most people are positive and upbeat and want the couple to have the best possible day. Still, there’s the odd person here and there who thinks the wedding is all about them. They’ll either make a scene and try to get as much attention of themselves as possible. Or…they’ll do the opposite and demand that you not film them. Less common, but still happens, is a groomsman who asks not to be filmed. People are going to think you’re the wedding photographer. Especially if you shoot wedding videos with a DSLR. Yes, even if you shoot with a C100. Even if you shoot with an FS700. Lord knows, if you rocked up with an Arri Alexa, people are still going to mistake you for the wedding photographer. no knowledge that wedding videography exists. or some other blind spot or quirk of understanding. It’s frustrating sometimes, as you can sometimes be confused for the photographer’s apprentice or something similar. The photographer runs the day for the most part, so people naturally think you’re his subordinate. This is especially true if you’re doing docu style, fly on the wall weddings with zero cheesy posing and direction of the couple. Even friends that I’ve corrected multiple times. 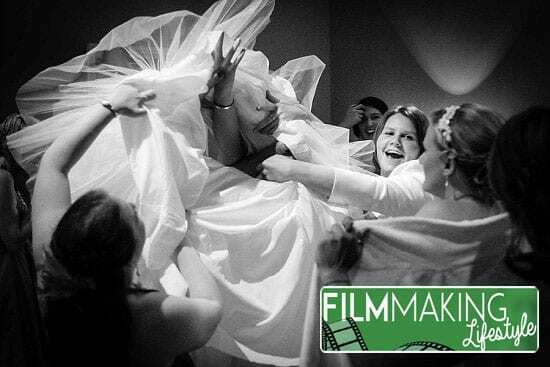 It’s like people have a blind spot and just don’t understand the concept of making a wedding film. Maybe it’s a failing of the industry that we can be so undercover. Or perhaps a quirk of misunderstanding due to wedding photography being so ever-present in films and TV shows. Whether it be through Sat-Nav error, miscommunication, or sheer stressed-human error, you’ll head to a location confident in the knowledge that you are heading to the right place…only to find that you’re not. You have arrived at a location…just not the one you’re meant to be at. Yes, it happens to the best of us. If you shoot enough weddings, even the most organized and efficient among us will head to the wrong location at some point. What if that happens to you? Dust yourself off and carry on with the day. There’s nothing much you can do now. Yes, you can’t ask them to re-do the ceremony, and you can’t ask the couple to reenact that end of ceremony kiss. You just need to be honest and say that you messed up. Take full responsibility, but save it till after the big day to avoid upset. I don’t want to offend any religious readers. But, yeah, vicars do…pretty much do whatever they want. being obstinate and sometimes outright rude. being difficult to the point that the film is compromised. creating unnecessary stress and tension during the ceremony. Look, I get it. It’s their house. I know that, and that’s exactly the attitude I go in with when filming in a church, or other religious place. I go in being polite and respectful. 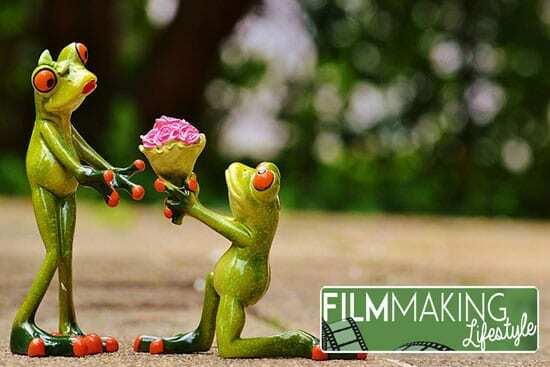 However, there’s a certain element who seem to have it in for videographers (and photographers) and seem to want to make our work as difficult as possible. The majority are fine, and some are really cool, but I’ve had too many vicars and ceremony runners causing issues over the years to not mention this point. And, you know what, if you mention during an Initial Meeting with the bride and groom that the only issues you tend to get on a wedding day are caused by vicars…they never believe you. Of course, vicars are all sunshine and rainbows with the couple. But if you dare work in their church…some of them are going to make your life difficult, buddy. Most of the difficult ones go on about some bad experience they’ve had in the past with videographers or photographers. Whether it’s true or not, it’s terrible to paint everyone with the same brush. I guess I’m optimistic, but I always thought that vicars would have a bit more understanding than they sometimes have towards us videographers on a wedding day. You’re going to deal with a whole bunch of different personalities and moving parts. You’ll meet all kinds of characters when filming weddings. And the fact that you’re filming means that you have a unique view of proceedings. 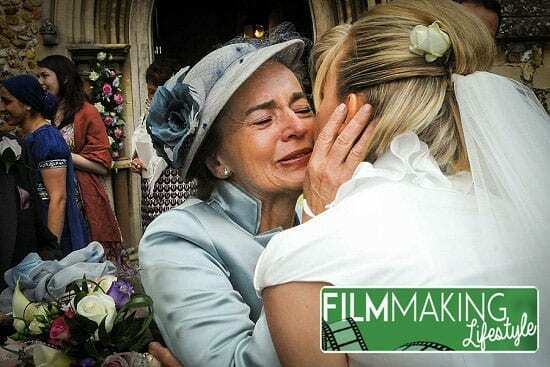 Not only are you sober all day (unlike most wedding guests), but, if you’re doing your job right, you’re also concentrating on capturing emotion. In this way, you’ll see a lot of small things that other miss. The way the father of the bride looks at his daughter just before they walk through the church doors together. The look on the groom’s mother’s face as she sits across from the family she is clearly still ‘unsure’ about. Or the not so secret glances of the bride and groom as they spend some rare alone time together when you take them out for the creative shoot. Your should appreciate that honor and take it very seriously. As a wedding videographer, you get invited into their private lives for one day. And it’s often a very intimate invitation. Know what I mean? It’s a strange thing to try to explain, but sometimes it’s almost like being there with a camera kinda makes you an outsider to such an extent that they almost forget you’re there. One of the ongoing and repetitive conversations we’d always have with photographers on the day would be about food. Or variations of those questions. All the time. Now, we had in our contract that we required feeding. And a hot meal at that. Still, getting fed on the day is a role of the dice. the bride and groom will definitely have told the hotel / caterers / reception restaurant. the hotel /caterers / restaurant staff (or whoever it is who’s dealing with food on the day) will remember to cook for you. the hotel /caterers / restaurant staff will give you the food on time, so that you can still go and film the speeches in…5 minutes! and if they do remember all of the above and the stars are aligned, do you get some horrendous leftovers or a tray of yesterday’s hotel sandwiches!? So, as you can see, even with best intentions from all sides, it can be a real roll of the dice if you’re fed…or fed well, for that matter. We’ve had all of the above and more. I’m pleased to say that for the most part we’ve been fed well over the years. Most good wedding venues will cater for you, and look after you, even if the bride and groom have forgotten to mention it to them. Often, the caterers will want to ensure all the wedding guests’ plates go out first, which is totally understandable. Only this can create issues when they send food out to the hungry wedding freelancers literally minutes before the speeches start! I’ve lost track of how many times that’s happened. That’s all well and good, but people forget that we’re there working. And it’s a long day, too. I’d say about 85% of the weddings we’ve filmed we have been fed in some way. The vast majority of those have been the wedding meal itself. Now, the worst situation you can get into is dealing with a small scale catering company in a marquee wedding. Read: not a wedding venue or hotel. They’re often unprepared, and uninterested, in looking after the videographers and photographers. If you’ve never worked in the wedding industry, or you’ve not worked good high-end venues, this all might seem rather arrogant or presumptive. “I don’t get fed when I go to work!” I hear you say. Well, as discussed, the wedding industry is a whole world unto itself. And high-end weddings and venues even more so. Always discuss food with the bride and groom beforehand. In the Initial Meeting, as mentioned above. Bring food ‘just in case.’ If you aren’t fed, you have a backup. Do this even when you “know” you’re definitely getting fed. Have a backup plan and a place you’ve decided on ahead of time if you have to nip out and get food. Ever shot all day, stored your footage and then when you come to edit, you just know you’ve lost some shots? You don’t know where but you know you had them and now they’re…somewhere. Well, if you shoot enough weddings, you’ll eventually lose some footage along the way. Even with the best organizational skills and workflow system. And even if you have all your backup systems in place. Depending on what footage you lose, it can either be ‘water off a duck’s back’ or a living, breathing nightmare of an experience. 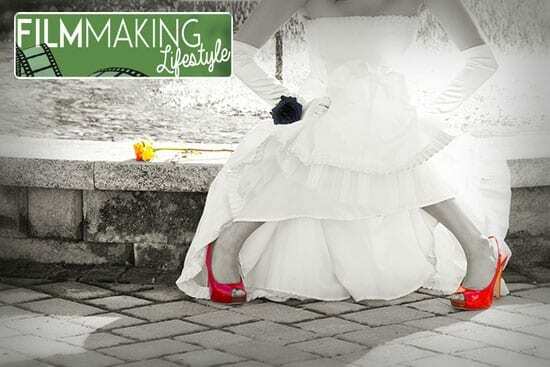 As a wedding videographer, you’re filming so much and running from location to location (sometimes literally running!) it’s no wonder that something slips through the cracks sometimes. So, do everything you can to ensure you don’t lose footage (obviously!). But know that if you’re hustling like you should be, losing the odd section of footage is something that you just have to understand is a part of the process. To be honest, this could go for just about anything in life. When we don’t communicate properly (or even not at all), that’s when issues can occur. Whether that’s not setting expectations with a client, not expressing what you want to your team, or even not talking things through properly with your significant other, issues rear their ugly head when you don’t communicate. So, talk things through. Express yourself. Know that oftentimes, a problem shared really is a problem solved. Not always. But communicating let’s other people know there’s an issue (or a potential issue). And sometimes that’s all that’s required. In practical terms, life throws you a curveball and you realize a wedding edit is going to be a couple of weeks late than expected. Let the client know. Set expectations. And you’ll avoid those very much avoidable, “When is my film going to be ready? I thought you said last Monday!” calls. 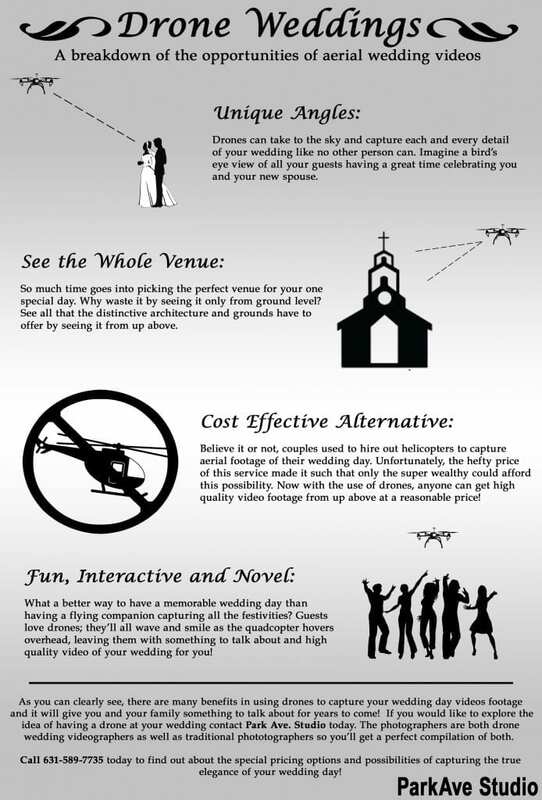 Look, even if a few of the above items sound kinda negative, overall you’ll have a blast when you shoot wedding videos! These are just a few of the ‘things to watch out for.’ And, hey, they make for awesome stories, after all! 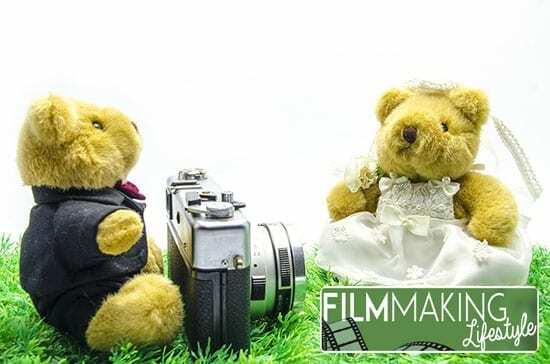 The wedding industry is a great business to be a part of and filming wedding videos is an amazing business. You’ll have a great time, meet some awesome characters, and share in one of the happiest and most euphoric moments of people’s lives. And, if you do things right, you can make some great money along the way. You saved me a lot of hassle just now. I enjoy the info you provide here. I enjoyed your article. good read. You have made my day! Thanks, man. Appreciate you taking the time to write a comment and glad things are going great.